Welcome to the Parent Information page. This page has links to all the information that will help you understand and participate in the life of our school. Please feel free to explore the links below and make use of the wide range of information you will find here. Here is our latest Education Review Office Report 2015. For safety reasons the school must be contacted if your child is going to be absent. If your child is absent from school please telephone the school office on 575 3960 as soon as you know that your child is going to be absent and leave a message on the school answer phone. The school will check all absentees and will make every effort to contact parents where children are unaccounted for. If your child has an appointment or is leaving the school during the day please let the office or your child’s teacher know. When picking up your child for their appointment please go to the office prior to getting your child from their classroom. If your child is late for school on any day she/he must go to the school office prior to going to class to collect a red card which lets the teacher know that they have been via the office. Parents are required to organise their own After School Care. The following Daycare centres pick up and drop off children at Mount Primary. Each year students in Year 4, 5 and 6 are invited to enter the Australasian tests in Science, English, Maths, Spelling and Writing. Year 3 students with a strength in Science and Maths may choose to sit the Year 4 tests. Information about enrolling for these tests and the cost will be included in the school newsletter during Term One and students must return their entries to school before the specified date as they are sent to Australia and no late entries are accepted. MMPS provides lunchtime sessions for students who have entered to go over past tests. Students will find out about these in the newsletter and daily notices. From time to time to time a teacher may feel that a trip away from school will help the class learn more, from first hand experiences, about a particular topic they have been studying. Parents will always be informed of this prior to the day and may sometimes be asked to assist with supervision on these trips. If you have concerns about a specific event please discuss these with the Principal or class teacher concerned. We are required by regulation to obtain your permission whenever we take children on a class educational visit. Therefore please sign and return the relevant slip when sent home. Without your permission your children may have to remain at school. All children are expected to participate in educational visits as any such event involves preparation and follow up as part of the normal class programme. Several times a year parent/teacher sessions are organised, either to inform parents of class/syndicate procedures and policies or to discuss progress. You will be advised when these are to be held and invited to make an appointment for a brief interview with your child’s teacher. Some of our classes are composite classes, i.e. containing children from two different year classifications. As is the case with all classes (composite or not), there are children of mixed abilities within the group. Confusion sometimes arises when it is thought that by having Year 6 children in the same class as Year 5’s it means that the Year 6’s repeat aspects of Year 5’s work. It is important that you understand that there is no such thing as “Year 6 work” per se; each child works in each curriculum area at an ‘instructional level’ at which he/she can cope. This means for example, a nine year old child with special ability in Maths can be catered for and extended by working in a group with others of similar ability but differing ages. Please feel free to seek any further clarification on instructional levels from class teachers if you require it. Stationery requirements will be outlined by your child’s teacher and can be purchased at the beginning of the year online here. Stationery is supplied in “packs” appropriate to each year level. Children may purchase extra stationery as they require it throughout the year from the school office. A downloadable price list is available below to enable you to send the correct money to school with your child. During the year some days teachers will be away from their classrooms for planning and preparation, testing students’ current levels of progress or attending professional development courses. During these times, relieving teachers will instruct classes. We are not unique in this. As part of the National Collective Agreement, all teachers are entitled to 10 hours a term classroom release. Teachers who are in their first or second year teaching have a weekly release component as well. 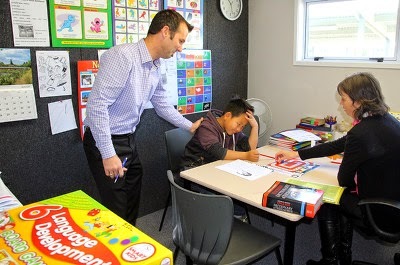 There are no classrooms in New Zealand where students have the same teacher every day of the week during the year. The PTA is a group of parents and staff who get together each month to support the school community and improve the experiences of all families at Mount Primary. We raise funds through school events and promotions to support the financial goals set by the BOT, and we aim to foster a sense of community through the provision of social events for parents, staff and students. The PTA meets once a month, and we welcome new members. Meeting times are advertised in the school newsletter and are also on the calendar on our website so please feel free to come along and see what we do. We also maintain a database of helpers who are able to volunteer their time as required during some of the events we run. The database is usually contacted by email. If you would like to be a part of or contribute to the PTA please post your details in the PTA drop box located next to the sick bay in the Office foyer. The PTA is an inspirational team of parents and teachers focused on providing additional community events and fundraising for the school. We are a motivated group with broad professional backgrounds ensuring our fundraising is fun, targeted and effective. The PTA’s fundraising objectives are driven by strategic priorities identified by school management and teachers, alongside the Board of Trustees. The PTA is where parents and teachers team up to host fun events for our community. Some of these have a fundraising outcome, but fun is the main aim. We also try to have a mix of family events and events where you leave the kids at home.  Support our Big Event or Golf Day by donating an auction prize or becoming a sponsor. If you have any queries or suggestions please contact pta@mtprimary.school.nz and we’ll be in touch as soon as possible. The Board of Trustees (BOT) are a group of elected parents who govern our school. It is their responsibility, along with the principal, to provide clear direction for the school's future. The BOT help ensure quality learning takes place within our great school. The Mount Maunganui Primary School Board of Trustees are proud to be working to help shape the future of the children in our community through their governance of the school. The Board strives to provide modern and safe learning environments and tools to support the school's teaching teams and to inspire and motivate our students to aim higher by learning to raise their aspirations. The Board operates under a chairperson and consists of parent representatives elected by the school community, the Principal and a staff elected representative. The Trustees themselves - The school staff and parent representatives who make up the Board are a dedicated team of people who give freely of their time toward the joint goal of making Mount Primary a centre of excellence in learning and education. Matt Hill – Matt was elected to the Board in 2016. “Living locally, my wife Mary and I are very lucky to have our two children (Luca and Mitchell) attending Mt Primary. We particularly value the positive and friendly atmosphere that extends throughout the school and the wider Mt community. Our kids are privileged to enjoy such an encouraging and supportive learning environment. My motivation for being a Board member is about making a worthwhile contribution to our school and community. I am keen to work with other like-minded people to ensure our teachers and children have the resources, leadership and support to reach their potential. I am a happily married father of two, a very average triathlete but a reasonably experienced watcher of all sport. I am in a senior management role with a local Bay of Plenty business. The skills I bring to the Board and school include a sound background in general management, leadership and people development. I also have a keen focus on effective oversight and the sort of positive governance that will ensure the school is run well and remains true to its pupils, staff, parents and values”. If there is a tsunami we will take the students to New World via the routes indicated in the Emergency Procedures. In the event of an emergency the school staff take responsibility for your child. Rest assured that the safety of all our students is paramount. In the event of a major emergency you may receive updates on our official school facebook Official Facebook and twitter link @mtprimaryschool.